Need more firepower? How about 72 rounds worth! 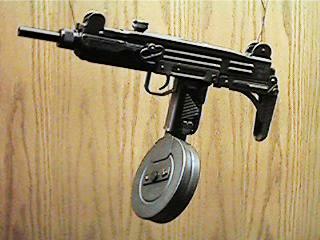 Drum magazines are available for the UZI, providing two to three times the capacity of most UZI stick magazines. The drum magazines are normally converted from preban Finnish Suomi drums. 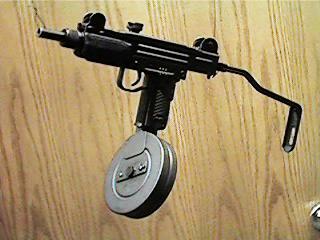 Two different manufacturers are making them: Vector Arms and C&S Metall-Werkes, Ltd. The C&S Metall-Werkes drums are highly regarded. Owners claim flawless operation.